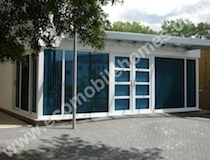 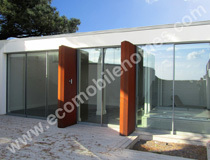 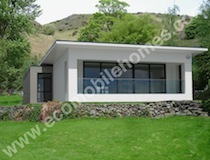 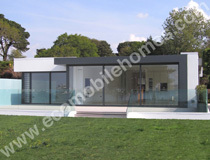 Luxury Mobile Home Manufacturers. 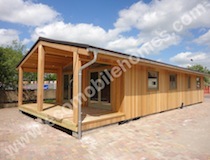 Bespoke residential garden cabins and static caravans, built to the highest quality and delivered U.K. Nationwide. 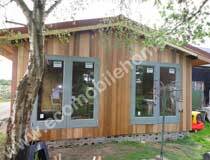 Please visit our portfolio of current twin-unit mobile homes in the U.K.
A unique exterior finish of blue cladding with pale green windows and terracotta roof. 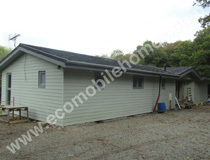 A nice example of a smaller twin size mobile home. 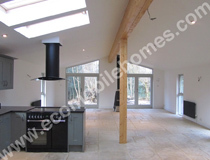 Weatherboard Cladding, Clay Tile Roof, Bespoke Kitchen, Marble Bathroom Tiles, Feature Wood Burning Fire. 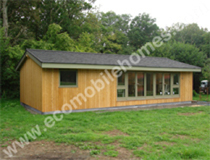 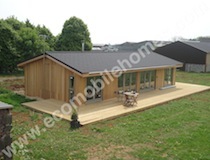 65 x 22ft New England Style Mobile Home in Dorchester, Dorset. 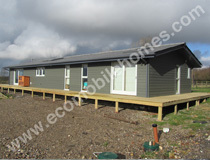 4 Bedrooms, weatherboard cladding, aluminium windows, slate tiles with a feature entrance. 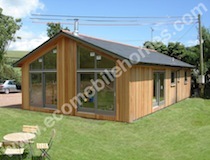 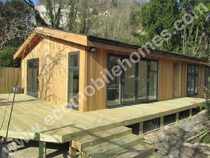 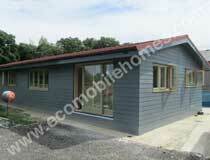 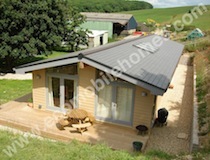 2 Bedroom 22 x 45ft New Lodge with cedar cladding, aluminium windows and gutter, slate roof with recessed entrances. 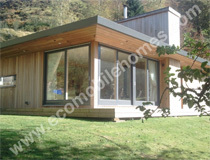 Two example of the ‘New Zen Lodge’. 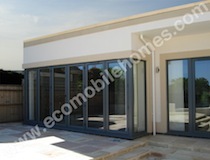 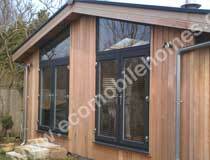 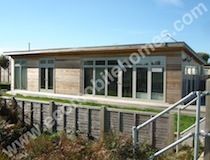 Mono-pitch mobile homes with cedar cladding and aluminium windows in grey. 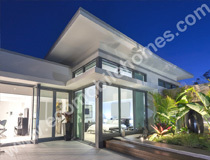 Concept Design – Miami Shore. 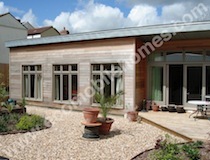 Flat roof with integrated veranda, mixed material cladding and tinted windows. 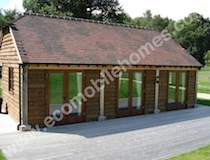 20 x 40ft New Lodge. 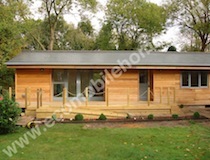 Cedar clad garden lodge to residential standards. 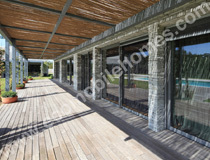 Visit our blog to get your questions answered.